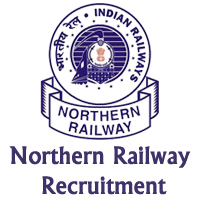 Northern Railway Jobs Recruitment Notification 2019.Northern Railway inviting applications for the positions of Facilitator.Interested and Eligible candidates can apply for the positions. Senior Divisional Commercial Manager, Northern Railway, Delhi on behalf of tho President of India invites Application from Retired Railway employees of Northern Railway for the appointment of Facilitators for issuing of unreserved tickets through Automatic Ticket Vending Machines (ATVMs) at various stations over Delhi Division. 1. The Application containing details Of terms and conditions & draft agreement are available on the website Of Northern Railway www.nr.indianrail.gov.in and Can he downloaded from dated 07,02.2019 at 15.00 hrs The Application can be obtained from the office of Sr Divisional Commercial Manager. Northern Railway, Delhi free of cost from dated 07.02.2019 at 15.00 hrs. or same may be down'oaded from Railway website.